This series highlights inexpensive, free, or discounted books to give you, dear reader, the most options on what to read. I’m God’s gift to women. What can I say? When I’m out and about, I catch the ladies checking out the goods. I’m at the beach today, and my sister has her posse of friends with her. “Justin, don’t you remember me?” she asks in the most sensual voice I’ve heard in a long, long time. “Sloane Hart, is that you?” I utter in disbelief. It’s my little sister’s best friend, all grown up and filled out in all the right places. Needless to say, I don’t waste a minute getting her alone. Things get hot and heavy and we’re just about to do the dirty deed when I sense something isn’t right. She’s tense. “Can you go slow and easy?” she asks timidly. I don’t mess with virgins anymore, not since high school. Next. I’m moving on. I don’t want Sloane, dear Sloane, getting stuck on me. After a couple of months, I’m usually done and over it. I tell her I’m doing her a favor. The problem is that I can’t stop thinking about her. When I see other guys hitting on her, it makes my blood boil. This can’t continue. Sloane Hart is getting under my skin. Justin Harlow is my best friend’s brother, and I’ve been in love with him for as long as I can remember. Fast forward ten years later, and I’m at the Harlow family’s beach party. Mr. God’s gift to women notices me today. He says I’ve grown up and filled out in all the right places. He’s dangerous for my heart and my body. I know I’m in trouble. 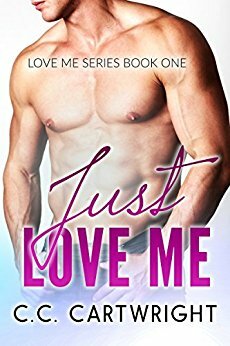 Just Love Me 1, a captivating best friend’s older brother novel you won’t be able to put down!